Google Play Music used to offer free albums every few weeks. It looked like a win-win for everyone: users could get some free tunes, and Play Music would attract people who might not have used the service otherwise. Perhaps Google didn't feel that it was worth doing anymore, as we hadn't seen anything of the sort for over two years. 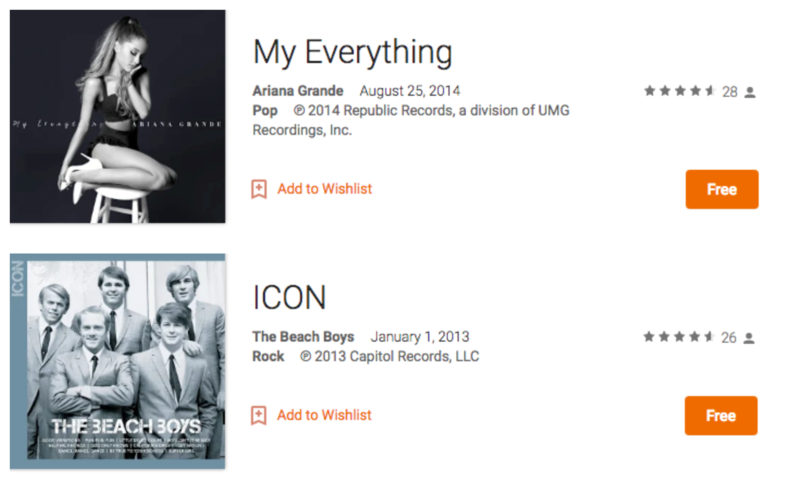 But now, albums from Ariana Grande and The Beach Boys are just $0 from Play Music.